Fire Damage Restoration Testimonial from Lou & Pat M.
Due to a fire in our home, I was referred to your company to help us with our cleaning needs. You are represented so well by the people who work for you. Mark Andrade showed up within the hour of our call, Ken and Mannie were here the next AM to initially start cleaning the cellar. Anthony and Rick followed up with our duct work cleaning while your 5 women crew cleaned the entire house. Steve then followed up to literally clean all the carpets and upholstery in every room of the house! All of this while Anthony and Rick completed the cellar cleaning with Mark here intermittently to assess further needs. 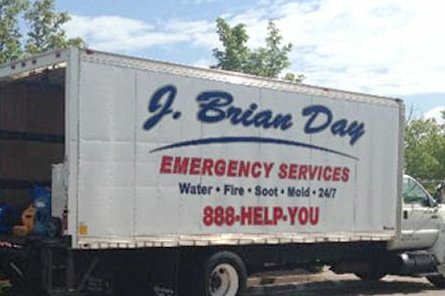 J.Brian Day’s service was done quietly, professionally and with good cheer. We were in good hands and any stress was minimized.